Once again, Boston Globe columnist Dan Shaughnessy is the skunk at the garden party. The Broncos are going to beat the Patriots Sunday. Sorry, that’s just the way I see it. I am not rooting for the Broncos. I am not into Satanic worship. Please do not kill my whole family. I am often wrong (remember the 2013 Red Sox, destined for last place?) and hopefully for New England fans, I will be wrong again. The Patriots have proven folks wrong time and again. Overcoming doubters is the foundation of the Patriot franchise. Doubting the Patriots this weekend is hardly a daring position. They are significant underdogs in Vegas. Most of the national TV panel guys will pick against New England. Some of the handicapping local car dealers will pick the Broncos. There might even be a footy-pajama fanboy or two with doubts about the Patriots’ ability to beat Peyton Manning. So I am a doubter . . .
A doubter? Not in Denver, Danny Boy. There you’re a hero. 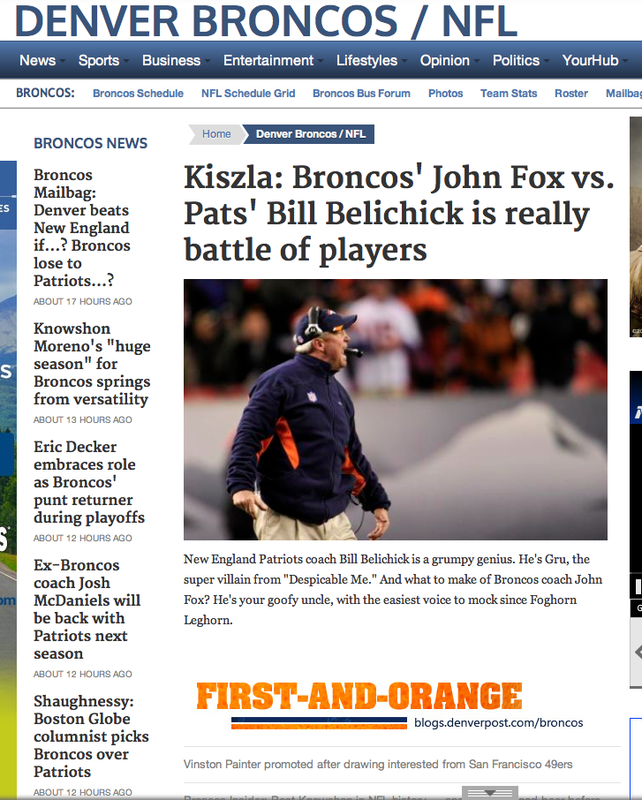 You even made the homepage of the First-and-Orange BroncoBlog (look lower left). You don’t see the Boston Herald being fêted in the Mile High City, do ya Danno? 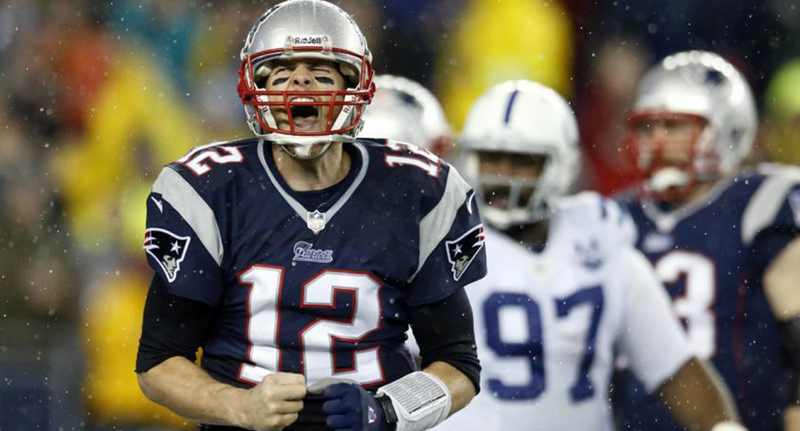 For what it’s worth, Tom Brady is 10-4 in head-to-head matchups with Peyton Manning. If Shank thinks the Patriots are going to lose, that’s all I need to take the Patriots. This entry was posted on Wednesday, January 15th, 2014 at 12:15 pm and is filed under Uncategorized. You can follow any responses to this entry through the RSS 2.0 feed. You can leave a response, or trackback from your own site.